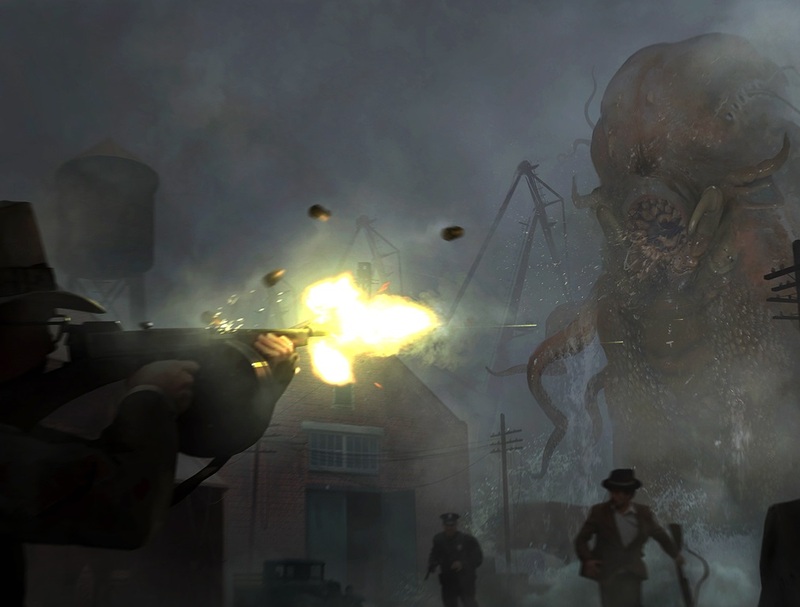 Frogwares, the developer behind the upcoming The Sinking City, has released a new developer diary, showcasing how the developers have tackled H.P Lovecraft's Cthulhu mythos, which the game is based on. A lot of what is said in the developer diary is great, but there are some concerns left as to how the team will manage to do justice to the notoriously difficult Lovecraft aesthetic and sense of horror. See, the problem is that Lovecraft almost never wrote his monsters to be seen or comprehended. In the typical Lovecraft story, you, the reader, would follow along as the protagonist explored some kind of mystery. Eventually he (and it was always a he) would uncover something about the vast cosmic horrors that Lovecraft created - a pantheon of alien "Gods" well beyond the human imagination, and the sight would send the protagonist insane. As the reader we never got an adequate description of the monster. Just that it was so otherworldly and terrifying that a mere sight of it would break a person's psyche. So you can see the conundrum that developers, film makers, and anyone else that tries to work with Lovecraft in a visual medium face; how do they visualise something that humans can't see without losing their sanity? From the dev diary Frogwares shows a clear understanding of this theme in Lovecraft, and promises a game that's filled with mystery and suspense. This is good. This shows that they respect the mythos and are looking to do it justice. It also suggests that they have a fundamental understanding that Lovecraftian story telling is slow - almost sedate - right up to the moment where the horror all comes to head. But on the other hand, the footage also clearly shows that this game's going to have a lot of monsters in it. And this is the mistake that developers of Lovecraftian games make over and over again. It isn't about the monsters. It isn't about the action. Very few Lovecraft stories have even more than a passing moment or two of action. Equally concerning, the developers talk about the uncanny valley - the idea where humans are horrified if something looks and moves like a human, but is slightly different to a human. This is a theory that's been floating around robotics for a long time. Here, the developer seems to be using it to justify zombie-like humanoid monster things... and that is very un-Lovecraftian. So, yes, there's a lot to look forward to; as you can see from the dev diary the team absolutely nails the decrepit aesthetics of most cities and locations in Lovecraft's writing. The concept art could be pulled straight from an illustrated version of one of Lovecraft's books. But the game also worries me; if it becomes another action-heavy horror title, I'm going to be one disappointed Cthulhu nerd.